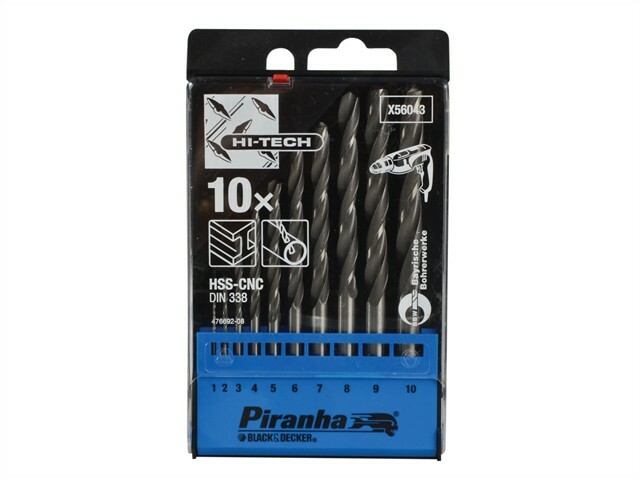 Black & Decker HSS CNC Drill Bits are suitable for soft steel, sheet steel and non-ferrous metal. With a special tip for fast accurate drilling, means drilling on contact i.e. no walking, no slipping. They are ideal for drilling curved surfaces and pipes.